The VAC M54 / M52tu VANOS Cam Gear Installation Tool is a pricelessaid when transferring, installing and indexing the VANOS Cam Gear onto the after market Camshafts for these engines. 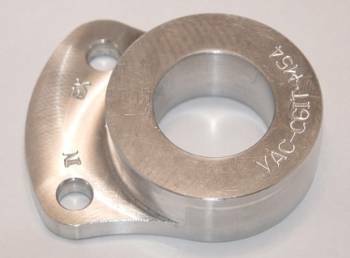 After market camshafts like Schrick, VAC and others do not have provisions to properly index the VANOS gear on the front of the camshaft upon install. Since the M52tu / M54 VANOS Cam Gear has a missing tooth, it is critical to get the indexing of the gear correct. If it isn't indexed properly, it will lead to piston to valve contact and catastrophic engine damage! We have made this tool for experienced do-it-yourselfers and mechanics alike. Pick up our VANOS Cam Gear Installation and Indexing Tool and make this a quick, easy, precise job.